After over 50 years of service in the Royal Canadian Air Force, the venerable CH-124 Sea King helicopter can finally beginning planning a retirement party. 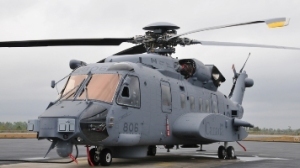 At 12 Wing Shearwater on Friday, the Canadian Armed Forces took official acceptance of six CH-148 Cyclone maritime helicopters, a major step in what has been a long road to replace the Sea Kings. Although the six Cyclones will not have their full operational capability, they were accepted as part of an interim solution and on a revised schedule negotiated in January 2014 between the government and manufacturer Sikorsky, and will have the operational capability to allow the Forces to begin retiring the Sea Kings. In its final configuration, which will be added over the coming years, the government said the CH-148 “will be capable of a full range of anti-submarine and anti-surface warfare, search and rescue and utility missions in various environments and will be one of the most capable maritime helicopters in the world.” The CH-148 fleet is expected to fully take over from the Sea King in 2018. 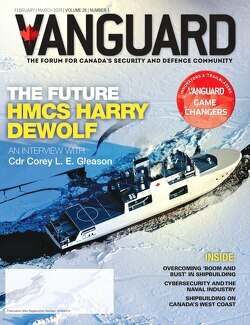 Between December 2014 and this May, Sikorsky and the Air Force and Navy conducted sea trials with the Cyclone on HMCS Halifax, flying 67 sorties and executing 322 landings and takeoffs from the frigate. The aircraft will be based at 12 Wing Shearwater and used for training and testing.